The Joburg mayor says everyone blames the ANC for the tragedy and that was why no ANC member could speak at the memorial. Johannesburg mayor Herman Mashaba wants ANC elections head Fikile Mbalula to apologise for a comment he made about the three firefighters who lost their lives in a provincial government building last week. Mashaba said Mbalula made unacceptable comments on Thursday that questioned the level of training received by the three firefighters. He said the pain experienced at the memorial service of the fighters on Wednesday engulfed all present as families of the firefighters, unions, other firefighters and the political leadership of the city mourned. “The truth that is perhaps not known by Mbalula is that everyone present at the memorial service placed the blame for the tragedy squarely at the feet of the ANC. This, according to Mashaba, was the reason firefighters and unions had given a clear directive that no ANC or provincial government member would be permitted to speak at the memorial service. 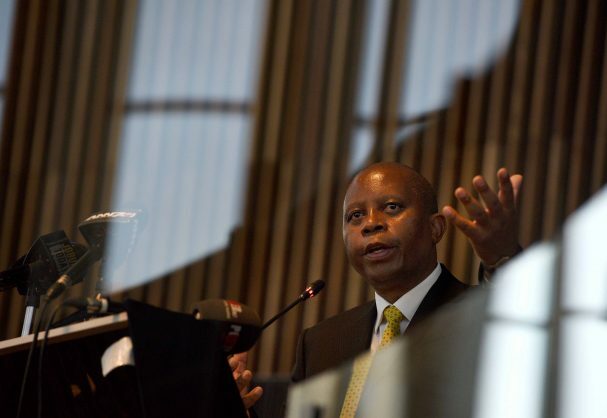 Mashaba said Mbalula needed to reflect, as it was “deeply insulting to those who mourned together at the memorial service to now have somebody, who lacks the bravery to run into a burning building, question the competence and training of these three brave men”. He suggested Mbalula stick to matters he was qualified to talk about and leave the memory of the firefighters alone. He called on Mbalula to issue an apology to the families and to the colleagues of the three brave firemen.